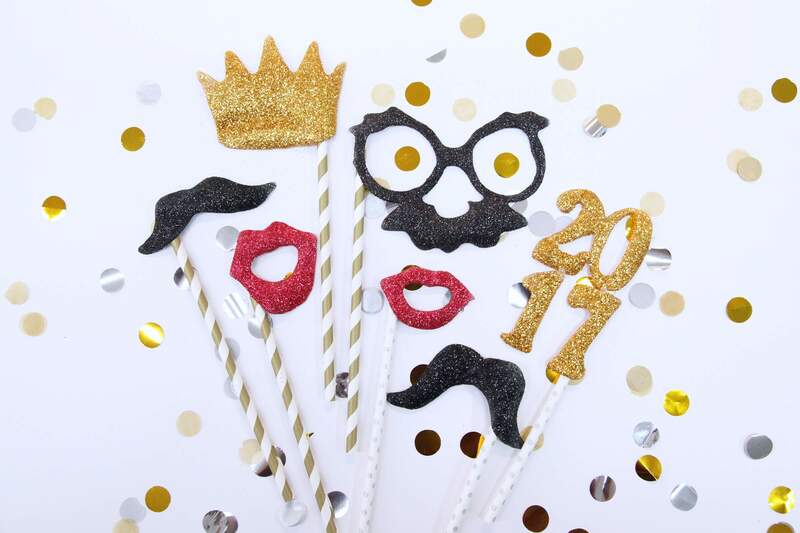 Ring in the New Year with these adorable photo props. All you need is Glue and glitter! And you will be ready to strike a pose at midnight. 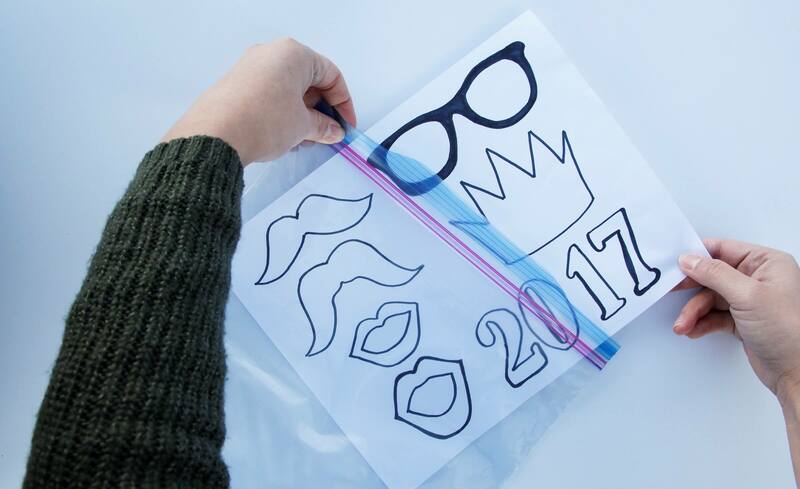 Start by placing pattern into the bag. Press down on the bag to remove any air. 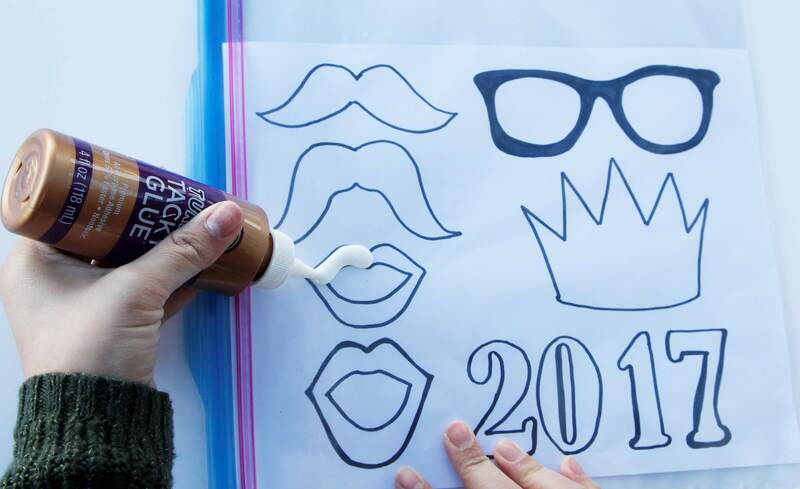 Use Aleene's Turbo Tacky Glue to trace and fill the pattern. 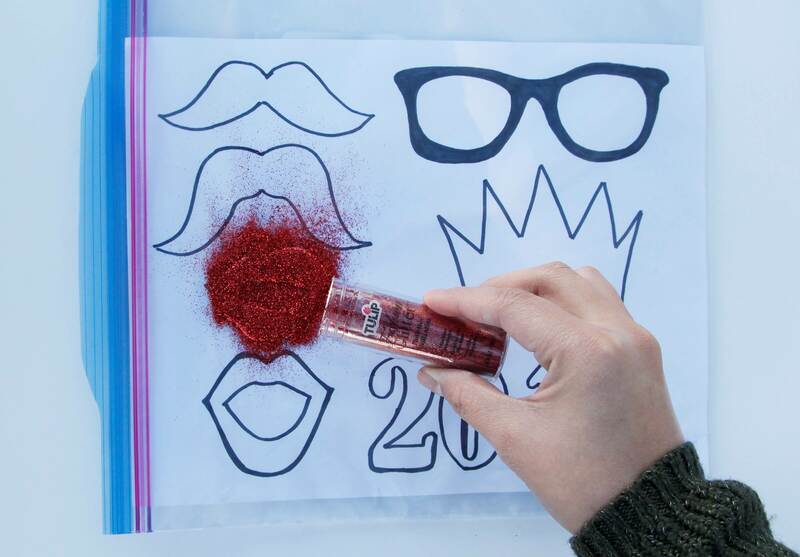 Pour glitter over the glue and let it dry for 72 hours. Once its dry peel the props and use Aleene’s Turbo Tacky to attach a straw to the back of each Prop. Let dry and enjoy.